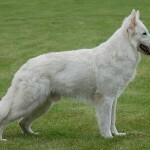 Alopekis is an ancient breed of dogs which is originated in Greece. The meaning of the name Alopekis is Small Fox or Fox-like in Greek. This breed of dogs has been depicted in many sculptures, pottery and many other historical monuments. It has got its name in the ancient history and now this has been regarded as a companion dog breed. Alopekis are basically stray dogs in Greece on early stage, but now it has turned to be a recognized breed. They are ancient breed and naturally occurred breed. 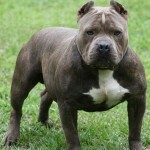 This belongs to small breed type and they are strong working dogs. They are also known as Alopecis, Venetaki and they are also called with many other names. They are easy to be trained which turns to be a good companion dog. Alopekis are excellent adapters and they can adapt to any type of environment. 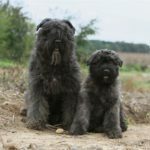 They are healthy by nature and no genetic health problems are found in this breed. 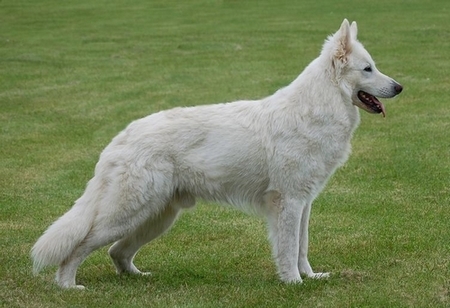 The wired coat Alopekis are rare type of dogs in this breed. Still no kennel club recognized this breed because most of them are stray dogs. 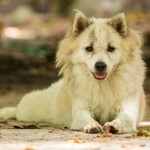 They are strong dogs and they can work hard in farms, walk great distances and run actively. Though they are friendly dogs, it is not advised to the family with small children as they may taunt the dog. They need proper training to make friendship with cats. They are good watch dogs and are able to watch the flocks, poultry etc. if they are properly trained. In recent years this breed of dogs are imported to many countries. Alopekis are not hypoallergenic dogs. The price of Alopekis ranges between $300 to $400 USD on an average. The name itself says all about its appearance, they have a similar look like a fox. The wedge shaped face, dark eyes, erect ears and long body makes it feel like a fox. Alopekis are double coated with three varieties of coats. The coat varieties include short-hair, semi-long hair and wired hair. The coat seems to be little harsh to touch and easy to groom. 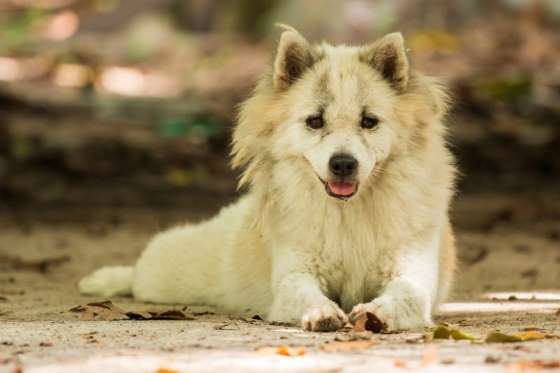 There are wide varieties of coat colours available in this breed; the colours include black, white, brown, fawn, and bi-coloured with spots or markings. They have strong bone structure, sturdy legs which are evenly shaped and curved tail. On an average Alopekis measures about 8 to 12.5 inches (20-32 cm) in height and about 6.5 to 16.5 lbs (3 to 7.5 kg) in weight. Alopekis is an all-rounder and can be adaptable to any character they face with. They are mighty street dogs, good watch dogs, good family dogs, working dogs and abandoned dogs as well. 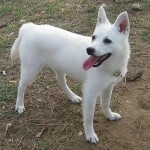 They are loyal to the owners and behave as good watch dogs as they have a sense of alertness in them. They are naturally occurred species so that they are intelligent, strong, happy and energetic by nature. They need to be socialized well to develop a good temperament towards the people. Once they start living as a family dog they turn to be good companions, working dogs and friendly dogs. They are very sharp, quick and vigorous as they can walk or run great distances. They do well with the children but make sure they do not tease the pet as they may turn aggressive. They are extroverts, obedient, escorts and good tempered dogs. Alopekis are one of the healthy breeds and healthy by nature itself. They are no significant health issues recognized for this breed. Paying attention towards the dog’s health can be a good thing for its health. A healthy diet keeps the pet healthy; the quality of feed should be remembered while feeding them. Two to three cups of dry food or liquid food might be sufficient for them. The diet should be planned based on the age, activity and size of the pet. Do not over feed the pet as it may result in overweight problems. They are excellent to adapt in any type of environment. They can adapt in large houses, small apartments, big houses and houses with or without a yard. They can be urban and rural dogs as well. They can fit in warm weather and they are sensitive to cold weather. Alopekis are active by nature and very playful. The activities of Alopekis keep them fit but a daily walk is recommendable. Daily walk keeps their physical and mental health fit and fine. They are very athletic in nature and needs to play freely in the yard. If it is not possible then physical exercise is mandatory for this breed. On an average Alopekis give birth to 2-5 puppies in one litter. Whelping is an easy process for this breed as they are healthy. But if necessary consult a vet for healthy pet and puppies. As they are athletic in nature it is recommended to leash them on daily walks. They are good hunters and run on prey drive so owners need to be attentive towards them. 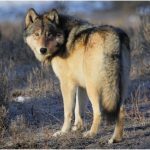 Sometimes other dogs and bigger animals may attack on them, so care should be taken while it is left alone or when it is unleashed. Breeding at a proper age would be healthy and professional breeding is advised. Make sure both the canines are in good health condition at the time of breeding. The average life expectancy of Alopekis is 12 to 15 years. As this is a healthy breed it may survive for more years if good care is taken. Grooming is an easy process for short-haired Alopekis as a weekly brush is sufficient to keep them clean. For long-haired Alopekis weekly brush, removing the mats and cleaning the coat is mandatory to keep them tidy. Occasional bathing is enough for both the varieties. Though wired-coat Alopekis are rare they must be brushed weekly and remove the mats carefully. Brush the teeth regularly and trim the nails monthly. Alopekis sheds moderately and sometimes it sheds little to no hair. Regular grooming prevents the hair fall and protects the pet from shedding.